Gainesville, FL, Oct. 30, 2017 – As the lines between the science of learning and the space where that learning takes place continue to blur, institutions like Discovery Elementary School are turning to MeTEOR Education to help transform their traditional classrooms into high-impact learning spaces. A leading educational services partner, MeTEOR helps K-12 schools transform themselves into bright, open, inviting places where students are excited to learn. By helping Discovery Elementary School blend its own problem-solving philosophy together with a vision that was deeply rooted in “everyone’s a teacher, everyone’s a student,” MeTEOR helped the institution create a collaborative environment that supports new instructional pedagogies and student-led classes. MeTEOR Education is a leading educational services partner working with education professionals to help them create High-impact Learning Experiences™. 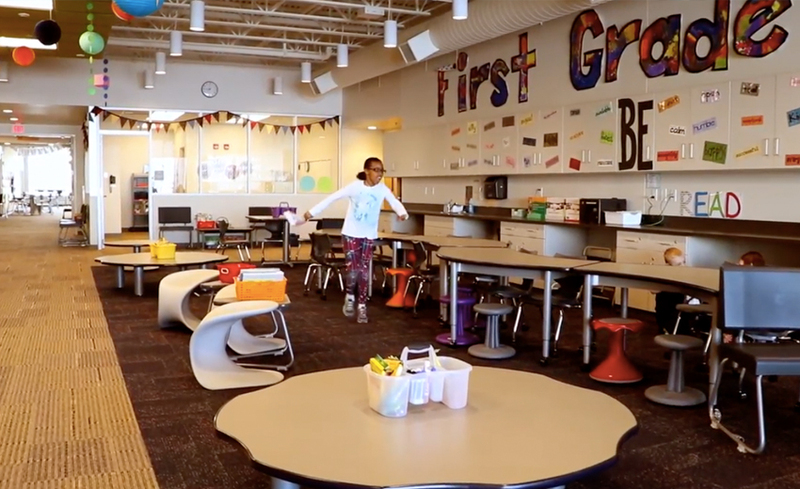 As one of the largest providers of learning spaces, including furnishings and interior design services, MeTEOR’s focus is the integration of best practices for teaching and learning to drive inquiry-based instruction, effective use of modern classrooms, and increased student achievement. To learn more visit https://meteoreducation.com.